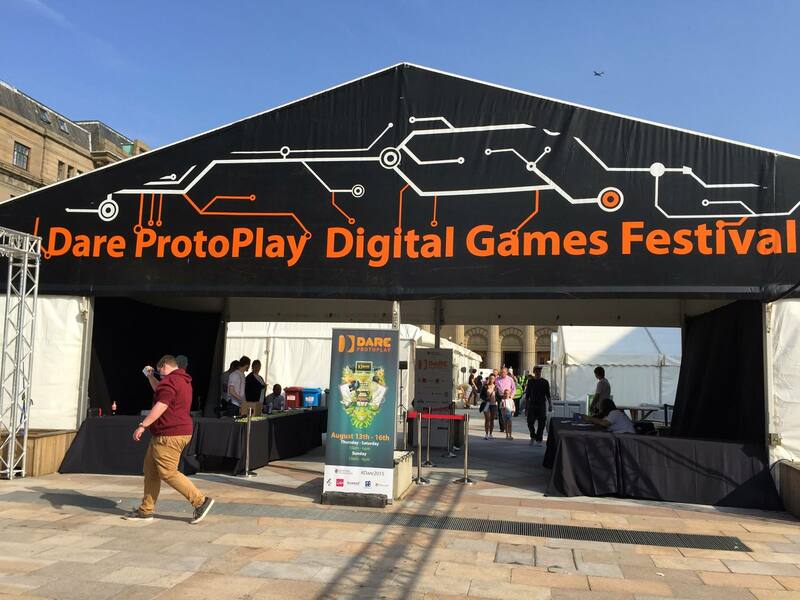 A guest article by student, Julian Surma, after his visit to the Edinburgh Game Symposium – Proto-Play Edition co-directed by Video game composers, Luci Holland and Jacob Pernell. Find out what he thought of the event’s third year, and first appearance in Dundee. Normally the prospect of catching a train at 5.40am in the morning is not something that I would find appealing. However, the opportunity to attend both the Edinburgh Game Symposium and the ‘Dare To Be Digital’ video game competition, which were running alongside each other, was too tempting to resist. 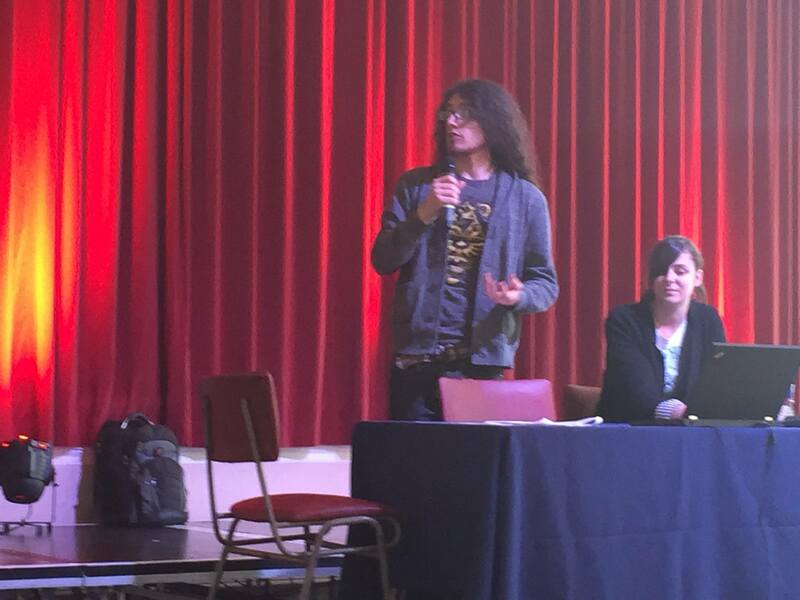 This pairing up of events meant that this third Edinburgh Game Symposium was actually held in Dundee, the home of Abertay University rather than Edinburgh. It meant a slightly longer train journey but fortunately there was plenty of time between my York and Edinburgh train changes for me to catch up on my sleep. 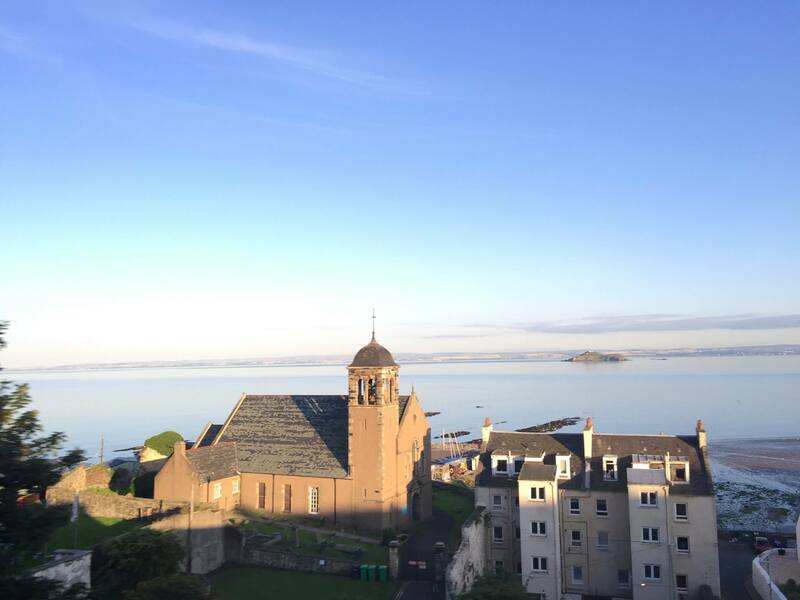 In any event, the brisk 5 minute walk from Dundee railway station to the grandiose Marryat Hall where the symposium was being helped freshen me up for the event. The schedule for the first day, Wednesday August 12th, was aimed at the game developer and audio aspects of games. Being involved in music composition and sound design, I naturally focused on the audio related talks. The event, which had initially caught my eye, was the panel discussion on game audio with its interesting mix of panel members. There was Joanna Orland from PlayStation (noted for her sound design on the Black and Burnout franchise at Criterion); Ryan Ike who has written music many games such as Gunpoint and Interference (which is a personal favourite of mine); the Dundee based Jaime Cross, a visiting lecturer for the Glasgow School of Arts who has recently been working on his upcoming game, Monstrum, with Team Junkfish. In this, he uses the new virtual reality gaming system and Chipzel (Niamh Houston) known for her creative uses of using Game Boys to write music scores. From left: Brian Baglow, Joanna Orland, Niamh Houston (Chipzel) and Jaime Cross. The discussion was lively and informative and well attended. It ranged from the approach and methods used for the creation of sound, to discussing the differences between working on triple AAA games and for indie projects. One point upon which the panel and the attendees were in heartfelt agreement, was that the early involvement of composers and sound designers in game projects certainly helps to create the premium experience for the game player (A point always worth emphasising!). A raw nerve for all was the discussion on the prospect of generative and procedural audio ‘sounding the death knell ‘ for composers and sound designers. The problem with such doom-laden topics is to avoid the accusation that we are merely demonstrating luddite-like tendencies. Whilst some did believe that we were doomed by the ‘rise of the machines’ the general view was that whilst generative and procedural audio can create a basic level of sound experience, humans would still be needed to create emotive sounds and provide the better experience. A view, which is comforting, or ostrich like? Time will tell. At the end of the panel discussion it was good to be able to talk one to one with the panel and hear their views of the event. 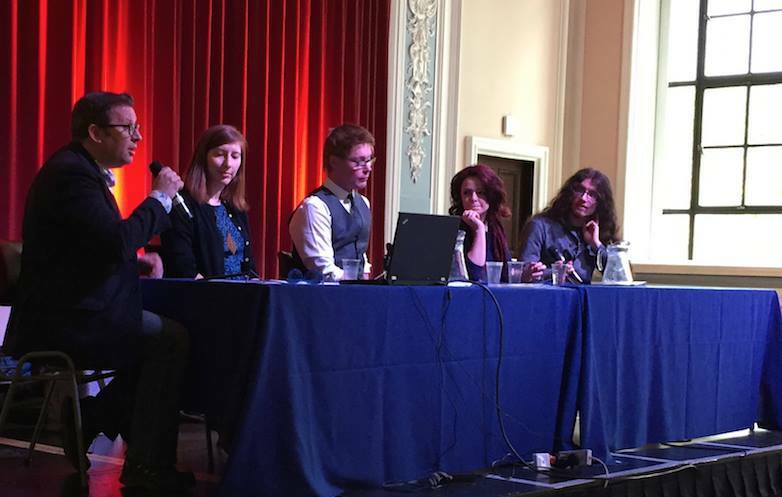 For instance, Joanna Orland, who was attending the Edinburgh Game Symposium for the first time, found it interesting to hear the views of sound designers and composers from an Indie perspective (coming from a AAA background herself). Conversely Jaime Cross, second time at the Edinburgh Game Symposium but first time on the panel, found Joanna’s perspective of working in a AAA company and Ryan’s indie game experiences very informative. The afternoon session was packed with informative talks. 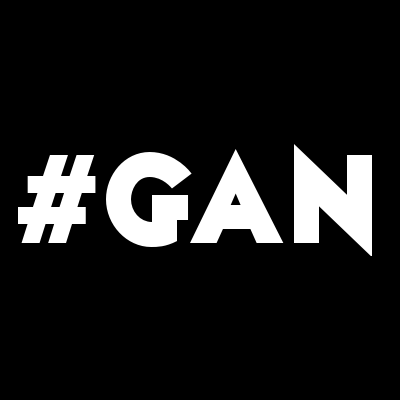 Practical advice on starting an Independent Game studio was given by Daniel Lisi. Likewise Ryan Ike and Jacob Pernell gave helpful advice for those involved in game audio. It is always good to learn from the experience of others. The advice on being proactive and the wrong and right approaches to networking was useful even if only to affirm your own experience. They also emphasised that if you wish to be involved in game audio you really must wish to do it. This echoed the view of Joanna Orland who, when asked earlier in our one to one conservation to give three words that define a good composer and sound designer, had replied with the words ‘Must Love Audio’! Stephanie Bazely, with Jaime Cross and then Abesh Thakur, gave thought provoking and mind stretching talks on aspects of audio and virtual reality. Jaime Cross and Stephanie Bazely talking about their new game Monstrum. The Sound and the Senses talk by Harry Whalley, was both illuminating and fascinating. It is always interesting to learn how sounds are made for films we are familiar with such as Star Wars. This first day had been long and eventful. With all that information desperately trying to find storage space in our brains what better way to end the day than to party out to Chipzel’s electronic music! The second day of the symposium (August 13th) involved workshops for young game designers to come together and have a Game & Story Jam and an Interactive Live Music Workshop. Accordingly I took the opportunity to go outside of the Marryat Hall to view the 16 teams from universities around the globe who were competing in the prestigious ‘Dare to be Digital’ competition to see who had created the best Video Game. Entrance to the Dare to Be Digital Competition! It was certainly a pleasure to go round these teams and play their awesome and creative games and discuss their creations in some depth. I have to admit to a personal interest here, as I was involved in creating the music for one of the teams participating in the competition. Overall my time visiting the Edinburgh Game Symposium and the Dare to be Digital event was well worth the trip! I felt that within the two days I had learnt a lot of valuable information, met lots of inspiring people and made friends! My only regret was not being able to stay for Chipzel’s dance party because I had rush to Nottingham University to take part in Europe’s biggest Super Smash Bros Melee tournament! (Heir II The Throne, which was fun even for a first timer such as myself). I strongly recommend that you mark the date for next year’s Edinburgh Game Symposium and it was sad leaving Scotland and all the people I had met in the short time I was there. Till next time!